"The Psychologist" Psychological Counselling Center Chennai - Panruti - Pondicherry: Psychotherapist Counseling Clinic in Velachery, Chennai, Tamilnadu. Psychotherapist Counseling Clinic in Velachery, Chennai, Tamilnadu. Psychotherapy, or personal counseling with a psychotherapist, is an intentional interpersonal relationship used by trained psychotherapists to aid a client or patient in problems of living. It aims to increase the individual's sense of their own well-being. 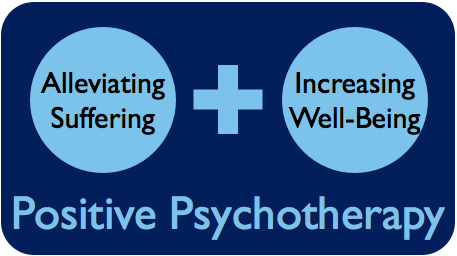 Psychotherapists employ a range of techniques based on experiential relationship building, dialogue, communication and behavior change that are designed to improve the mental health of a client or patient, or to improve group relationships. (3) Promoting positive personality growth and development. Our thoughts determine who we are. What we think about ourselves, about other people and about our world will affect how we feel about the same. How we feel about a particular thing also in turn affects what we think about it. Behavior is also similarly connected to our thoughts and emotions. So while positive and logical thinking can be a great asset, negative or insensible thought patterns can be highly maladaptive. REBT focuses on challenging and altering irrational thoughts which lead to negative emotions and dysfunctional behavior. It is a comprehensive approach dealing with thoughts, emotions and behavior to bring about holistic change, growth and development. Behavior is the end product of all our thoughts and emotions – this is what we do. It can either work for us or against us. Often, unhealthy behavior patterns prove counterproductive and we end up creating problems for ourselves and others. Dysfunctional patterns can be difficult to change on one’s own as mostly we don’t even realize what’s going wrong or just feel helpless to change it. 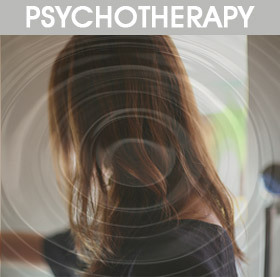 Behavior therapy focuses on altering problematic or dysfunctional behavior patterns through a series of concrete techniques. It is applied most widely with children and is quite useful for adults too. Many times we become disconnected with parts of ourselves – they might be things that we don’t like about ourselves, memories that are too painful to acknowledge or simply thoughts or emotions that we never paid enough attention to. Such fragmentation can lead to various problems whose source is vague or difficult to ascertain as they might be stemming from parts we are completely disconnected with. We might find ourselves feeling emotions or behaving in ways which we fail to understand ourselves or in various other ways feel incomplete or broken. Gestalt therapy helps people become aware, express and accept themselves in totality, thereby helping them become whole and integrated. Play therapy is the most widely used form of therapy when it comes to children. In this, the therapist communicates with children in the language they understand best – play. Rapport and trust is built while playing with children till they are very comfortable in the setting and with the therapist. Then children are helped and guided to express their concerns through play and their issues are addressed also through play itself. Emotions are expressed and new behavior patterns are taught all while the child is playing which helps the child accept and imbibe things better and much more easily. The child is coached with skills and helped sort through emotional or behavioral problems through various play techniques ranging from puppets to puzzles to clay, and therapy happens naturally in this process while the child is having fun! Transactional analysis is a powerful therapeutic tool that helps increase internal well-being. It helps individuals identify the ego-state they are functioning in and their interpersonal transactions. This helps them gain insight and increases their willingness to effect a positive change in themselves. With the help of the therapist, they are able to eliminate dysfunctional behaviors and establish and reinforce positive relationship styles and healthy functioning. Transactional analysis utilizes a contract for specific changes desired by the client and involves the “Adult” in both the client and the clinician to sort out behaviors, emotions and thoughts that prevent the development of full human potential.